Only on From The Lane, it's AmbervisionTM - those times when you're seeing the world in Amber and Chocolate. All these wallpapers are in 1024 x 768 resolution unless stated. To make one of these pictures your wallpaper, just left click on the thumbnail to open the full size picture. Then right click on the picture and select 'Set As Wallpaper'. To save the picture to your hard drive, right click on the picture and choose 'Save Picture As'. 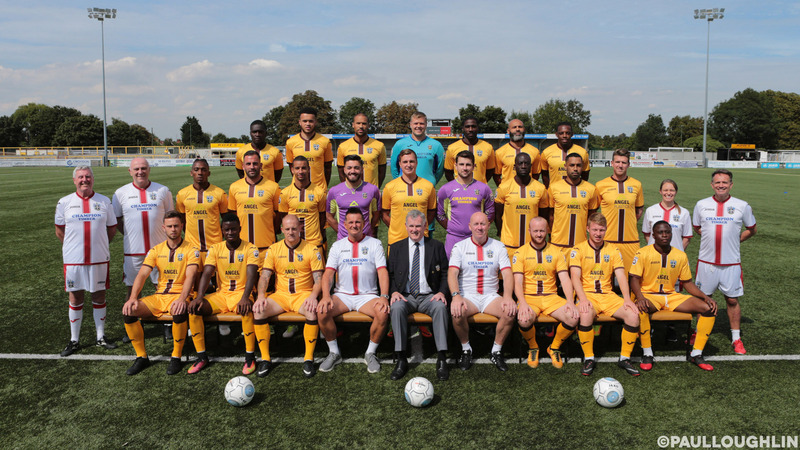 The Sutton United F.C. 2017/18 team photo, 1920x1080. 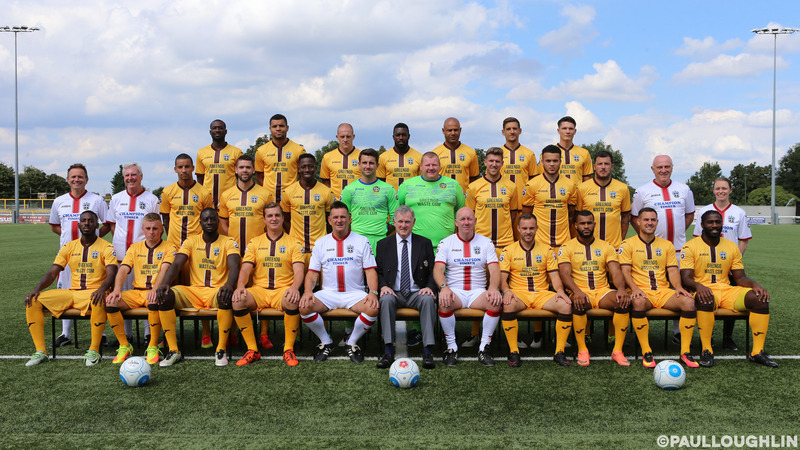 The Sutton United F.C. 2016/17 team photo, 1920x1080. 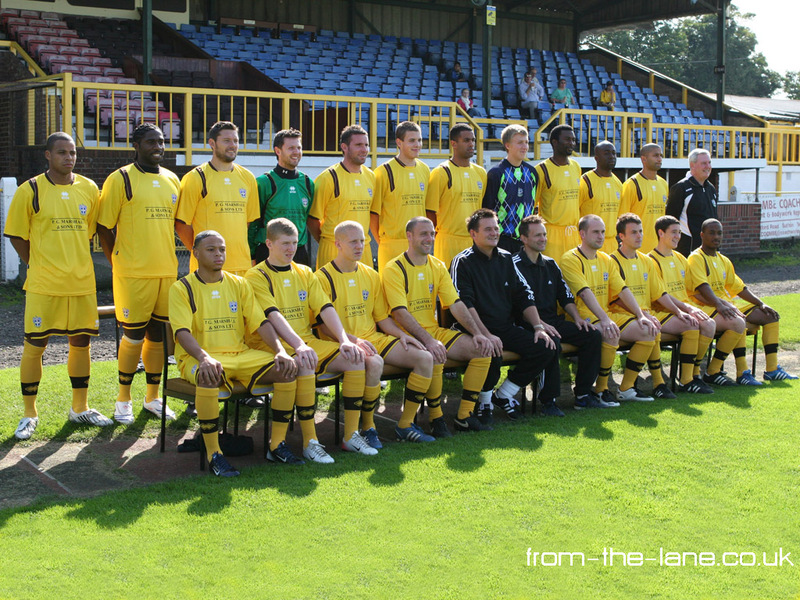 The Sutton United F.C. 2015/16 team photo, 1280x1024. 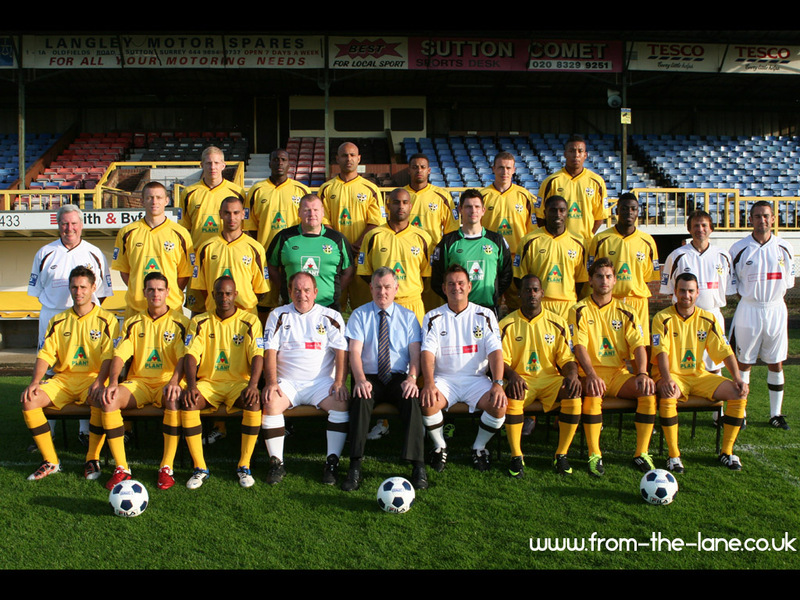 The Sutton United F.C. 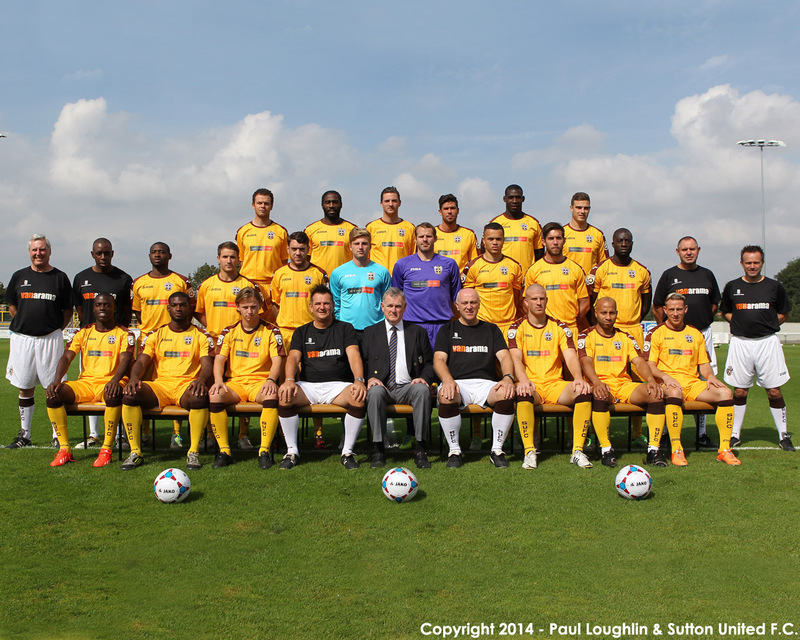 2014/15 team photo, 1280x1024. 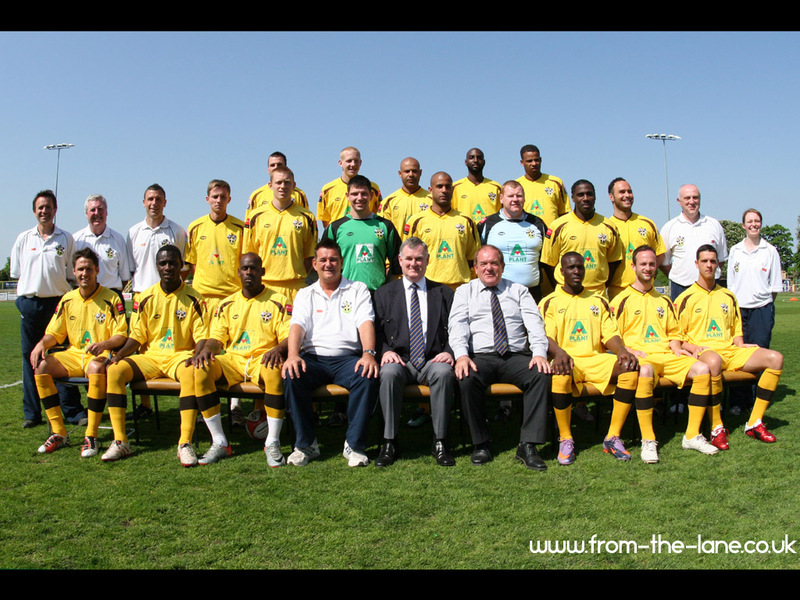 The Sutton United F.C. 2013/14 team photo, 1280x1024. 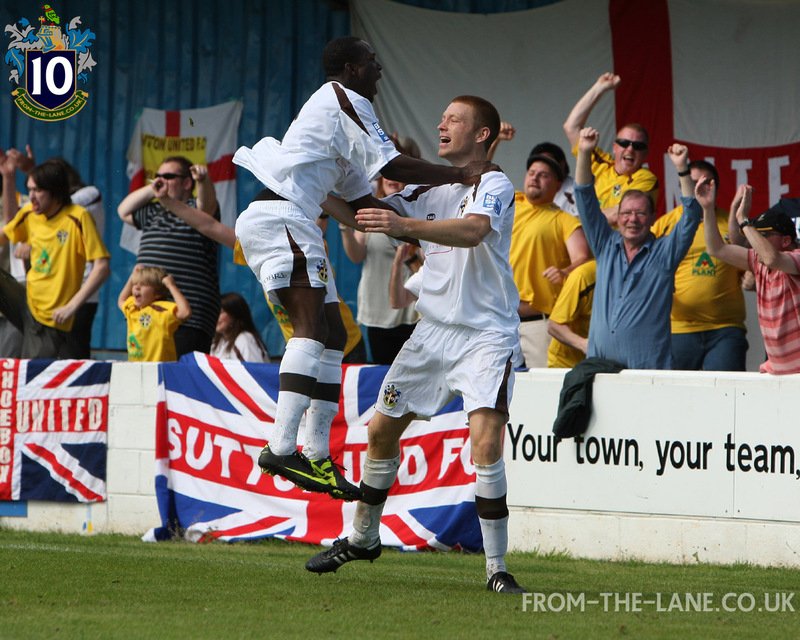 The Sutton United F.C. 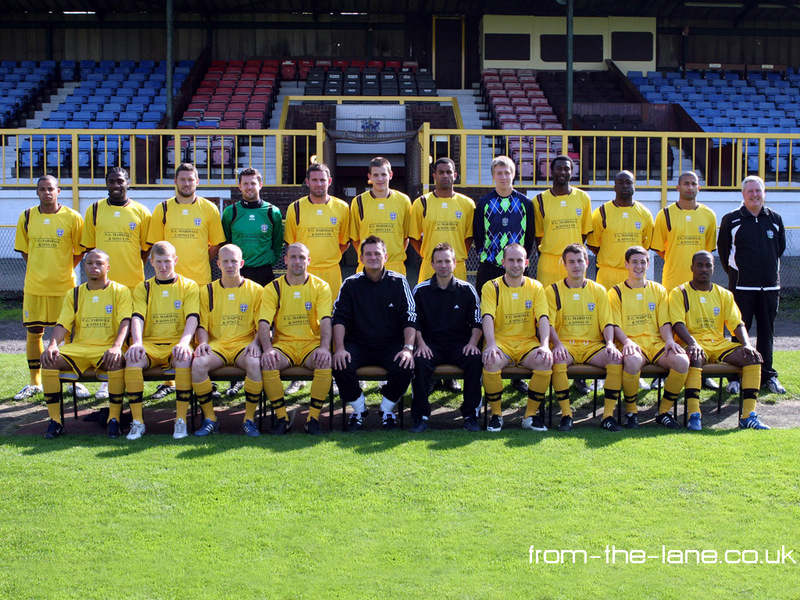 2012/13 team photo, 1280x1024. 10 wallpapers to mark the 10th Anniversary of the launch of f-t-l, all in glorious 1280x1024. 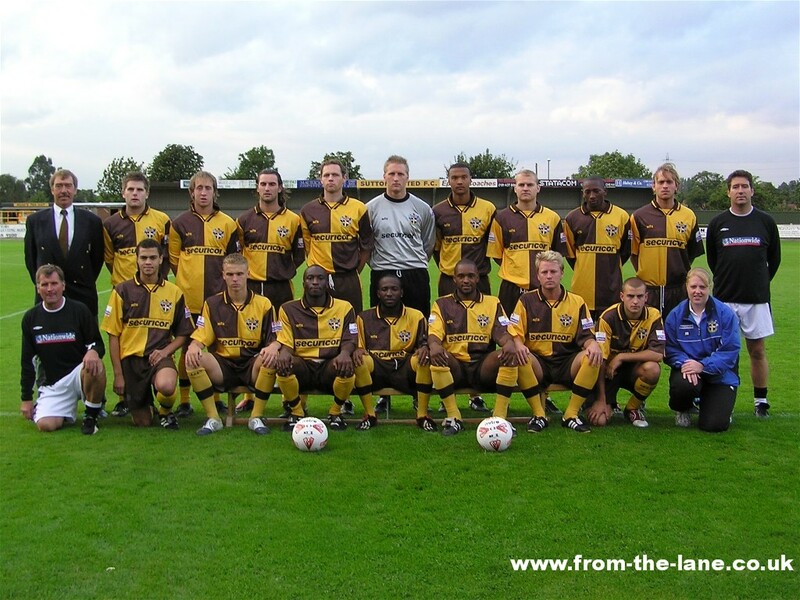 The Sutton United F.C. 2011/12 team photo. An alternative angle on the Sutton United F.C. 2011/12 team photo. 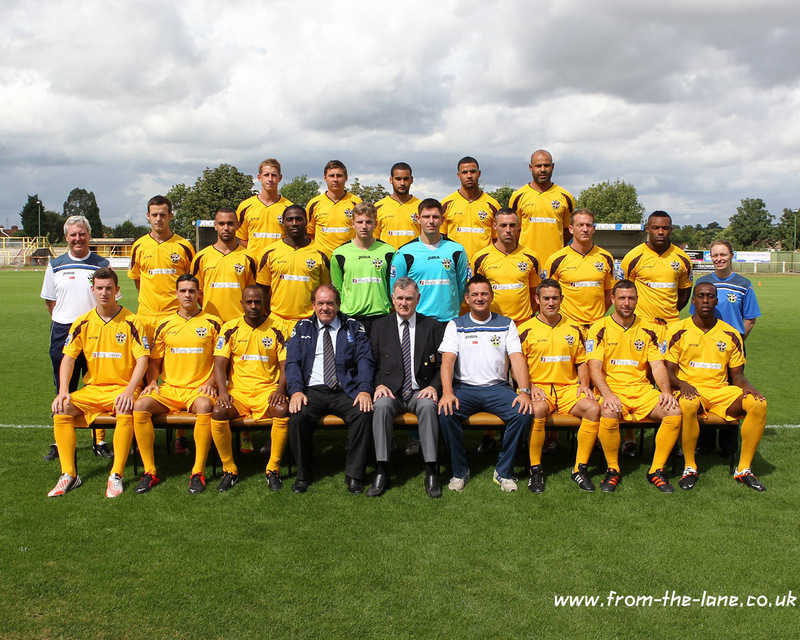 The Sutton United F.C. 2011/12 away shirt team photo. An alternative angle on the Sutton United F.C. 2011/12 away shirt team photo. The Championship winning Sutton United F.C. 2010/11 squad. A fish eye view of the title winning squad. 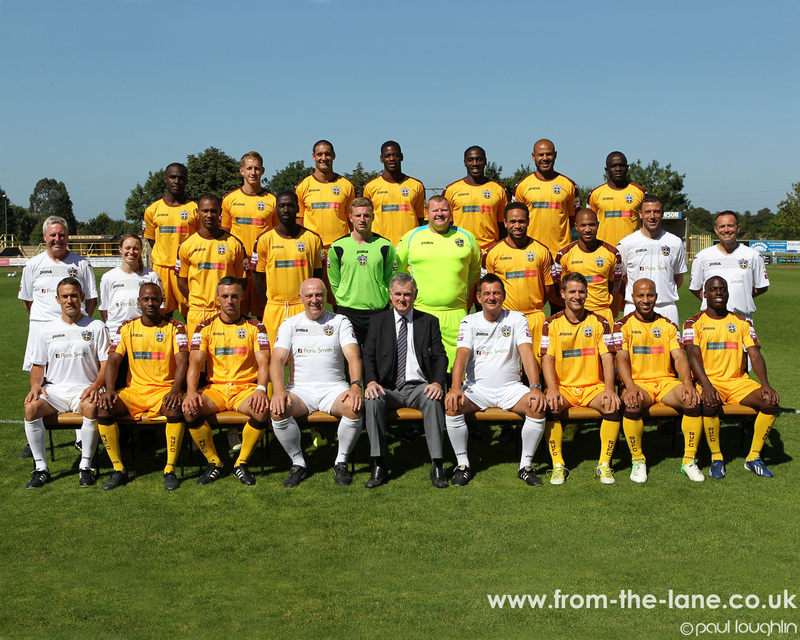 The Sutton United F.C. 2010/11 team photo. An alternative angle on the Sutton United F.C. 2010/11 team photo. 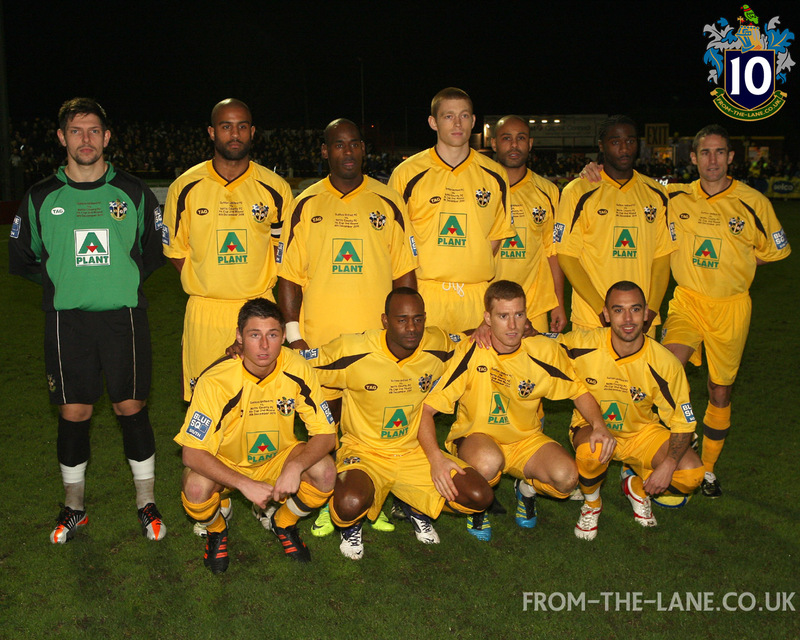 The Sutton United Legends squad. Two FA Cup goal scoring legends. 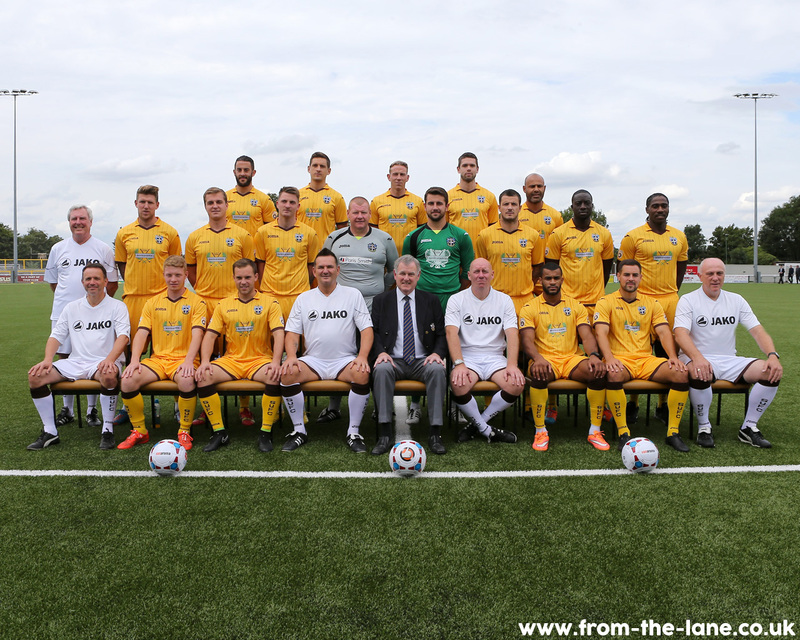 The Sutton United F.C. 2009/10 team photo. 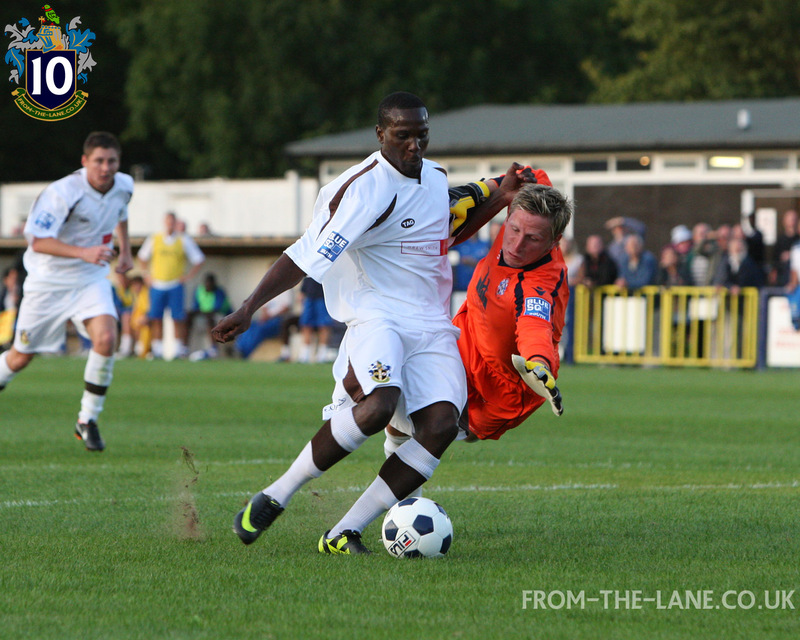 An alternative angle on the Sutton United F.C. 2009/10 team photo. 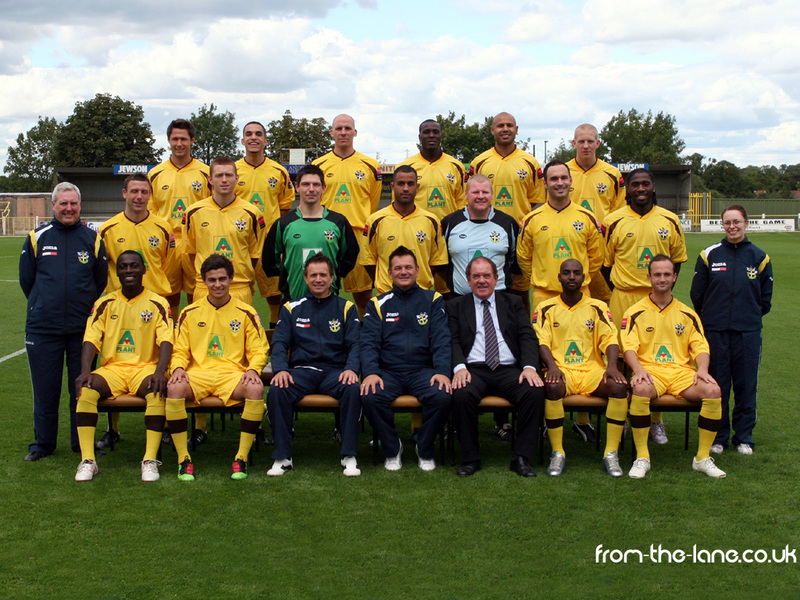 The Sutton United F.C. 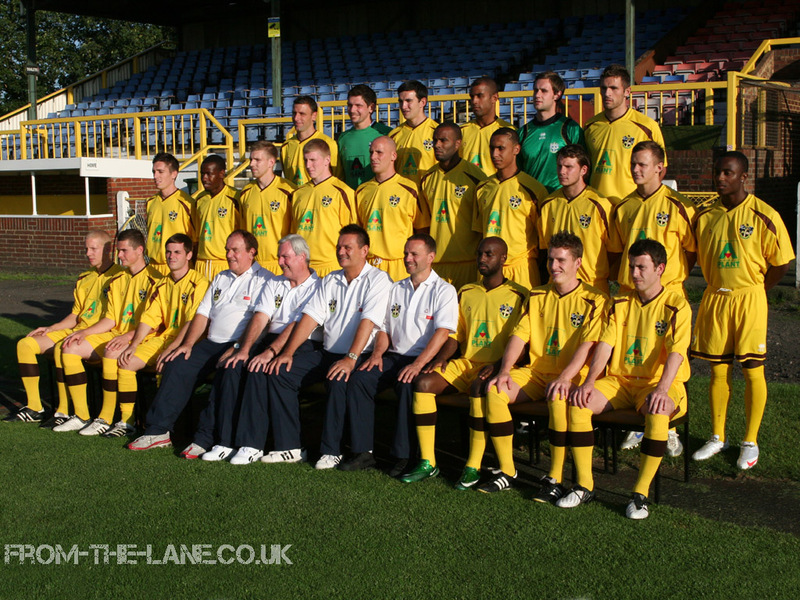 2008/09 team photo. An alternative angle on the Sutton United F.C. 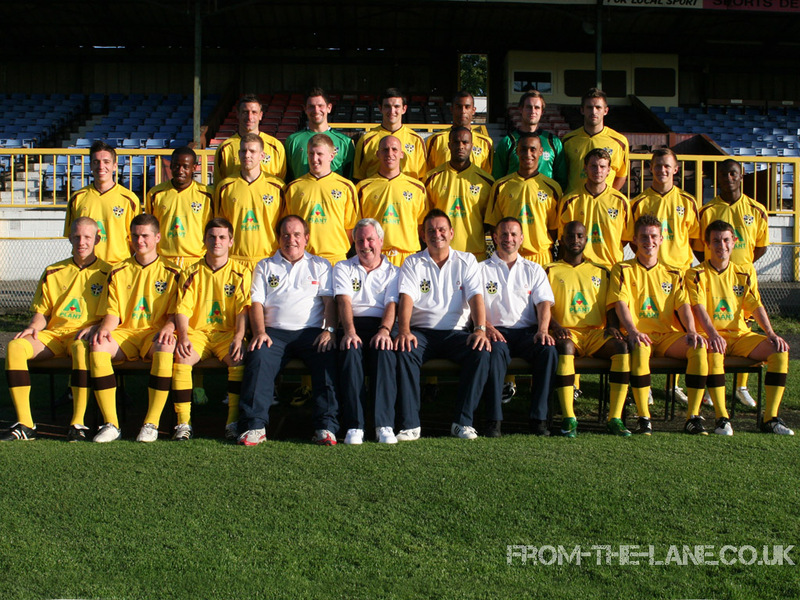 2008/09 team photo. 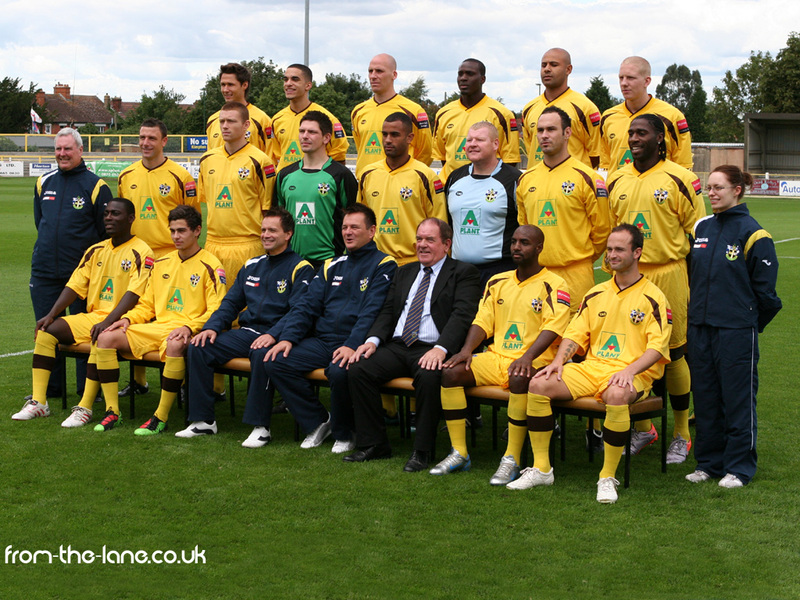 The Sutton United F.C. 2007/08 team photo. 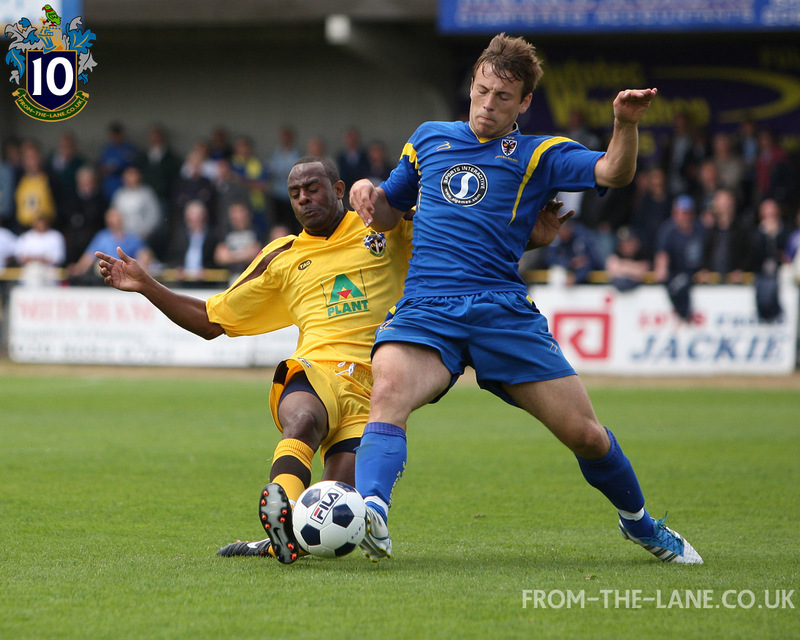 An alternative angle on the Sutton United F.C. 2007/08 team photo. 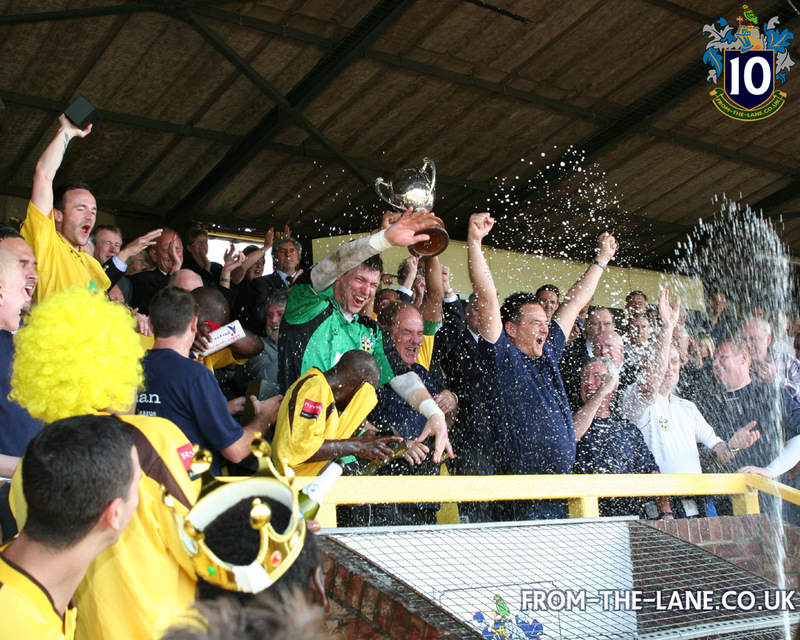 An alternative angle on the Sutton United F.C. 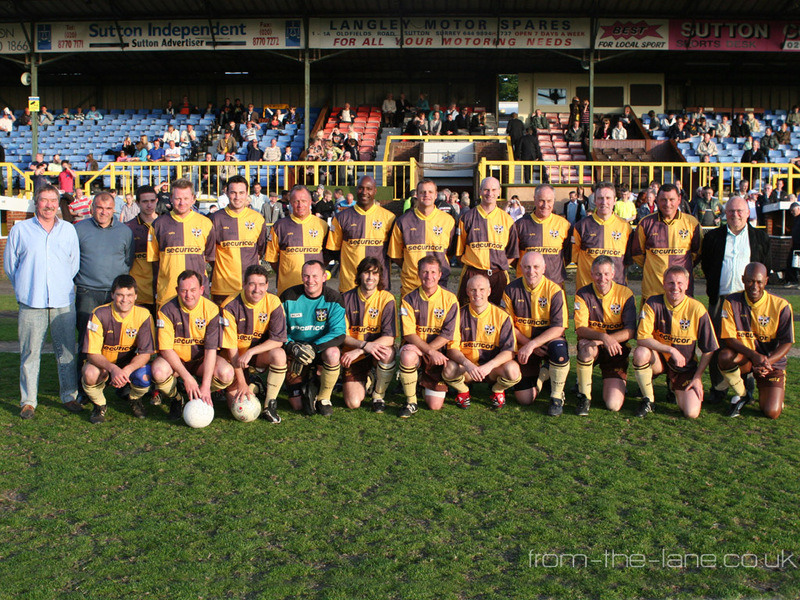 2006/07 team photo. 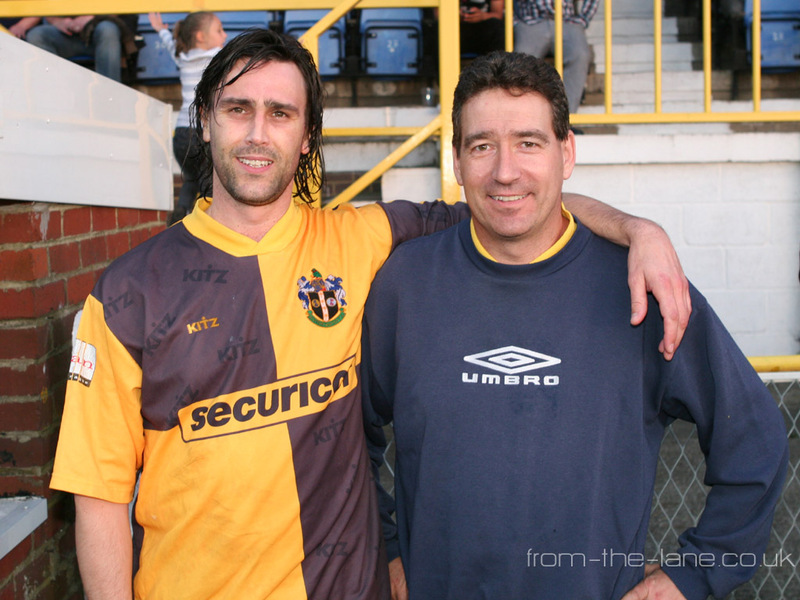 Sutton United F.C. 2004/05 team photo. 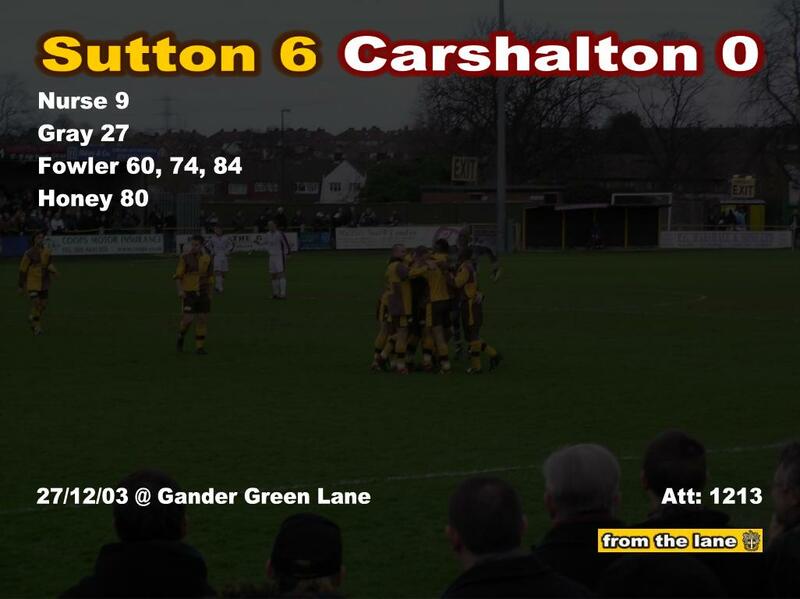 Sutton's players celebrate the opening goal, in the background of this scoreboard wallpaper, 27/12/03. 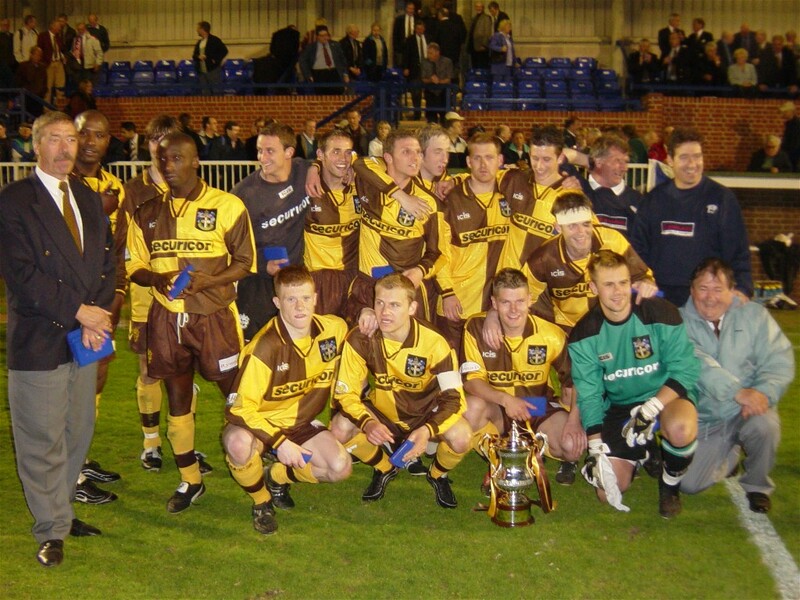 The Super U's pose for a team photo after beating Kingstonian 2-1 in the Surrey Senior Cup Final, 07/05/2003. 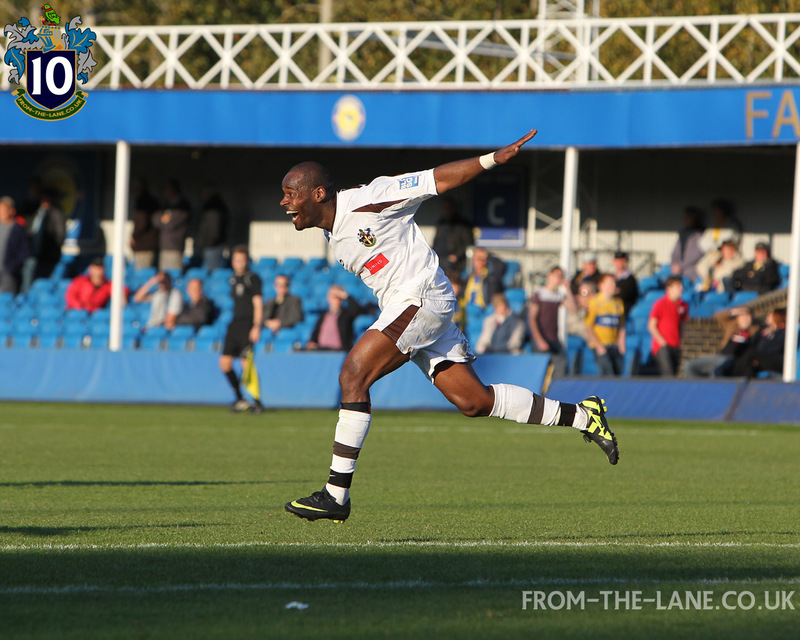 Tony Rains opens the scoring against Coventry (Photos from BBC match footage). 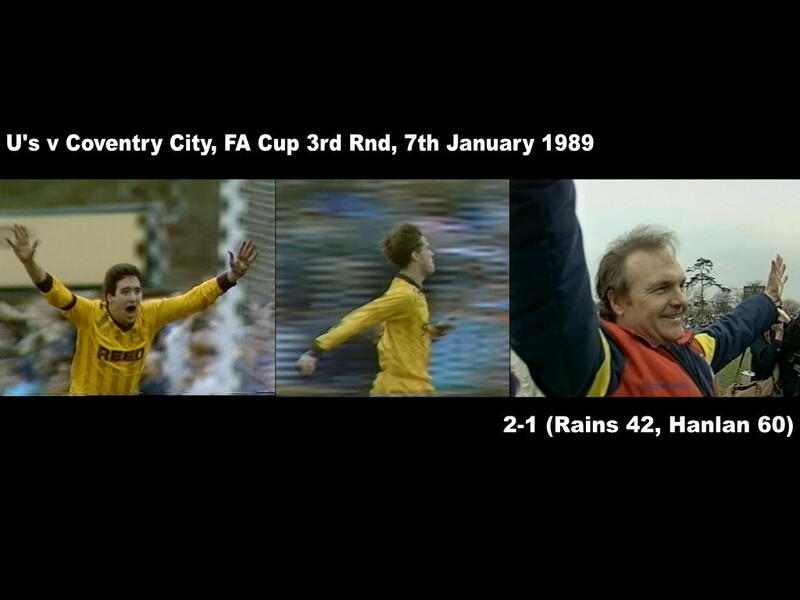 Matt Hanlan volleys in the winner from Phil Dawson's cross (Photos from BBC match footage). 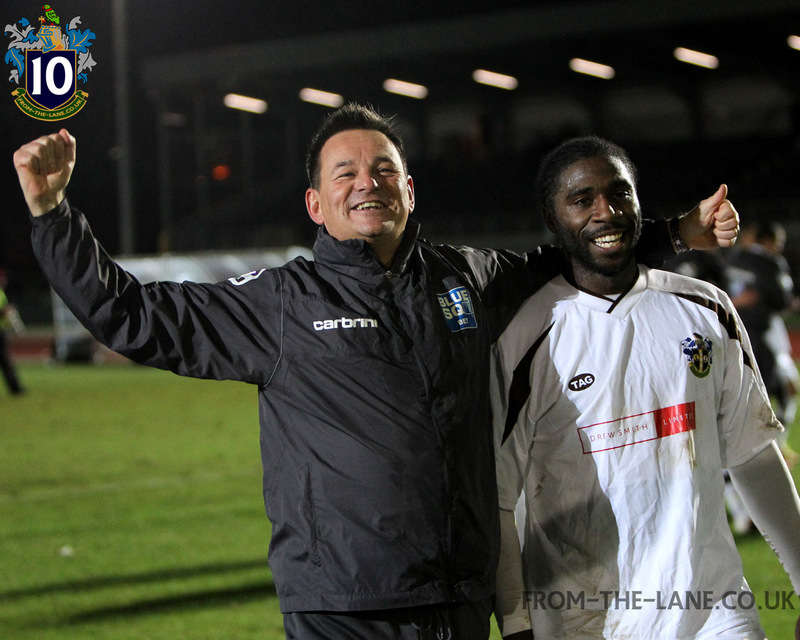 Celebratory wallpaper featuring Tony Rains, Matt Hanlan and Barrie Williams (Photos from BBC match footage). Is there a photo on the site you would like to see as a wallpaper? Email any suggestions to the editor.